Welcome to our Italian Food, Wine & Travel group (#ItalianFWT) where this month my blogger friends and myself cover the region of Molise in southern Italy. 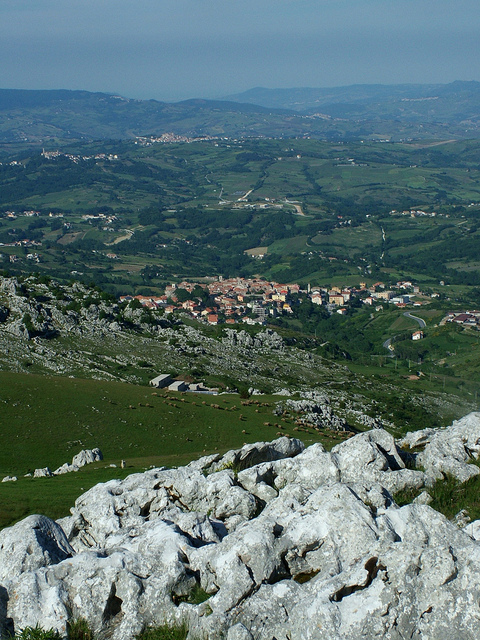 Like some of the other regions we have covered since the beginning of the New Year, Molise is one of those regions not well sought after or on the list of your must go to regions within Italy. It's surrounded by a number of regions in the south including Puglia, Campania, Abruzzo and Lazio. Today the winery and wine I'm sharing with you hails from the Molise DOC and the luxurious, rustic farmhouse and winery, Di Majo Norante. You can find this winery located close to the coast of the Adriatic, but in the countryside of Campomarino within Molise. Winemaking started at Di Majo Norante in the 1800's and the winery has experimented with many grapes on their soil to create the mediterranean style wines that represent Molise's characteristics. These grapes include red grapes such as aglianico, bombino, prugnolo and tintilia and white grapes including falanghina, moscato and greco. The winery had an overhauling in the 1960's when a new winery was built and vines were replanted. The owner, Alessio Di Majo Norante, also hired the known consulting winemaker, Riccardo Cotarella, to aid and assist in the production of high quality wines. Riccardo is also a consulting winemaker to many other wineries within Italy. My wine sharing today is the 2010 Di Majo Norante Ramitello Molise Rosso DOC. 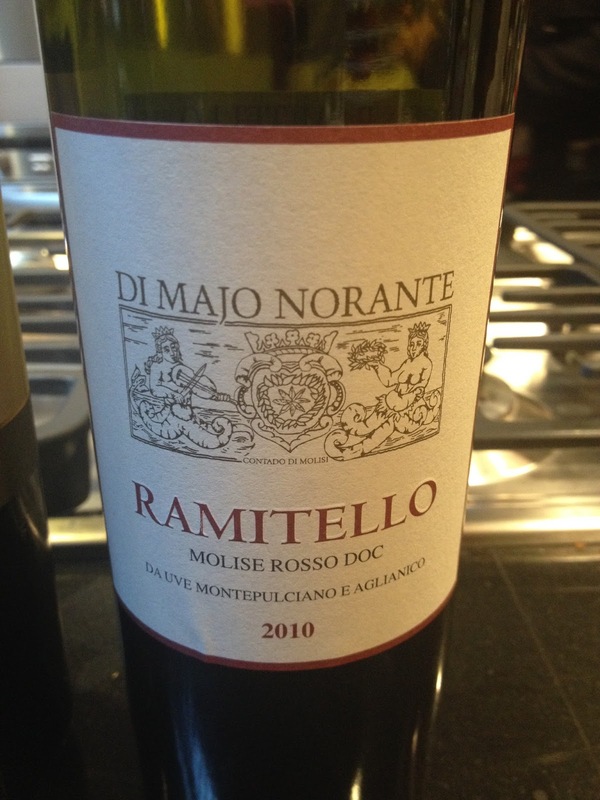 Named after the vineyard where the wine is produced, Ramitello, it is a blend of 85% montepulciano and 15% aglianico. Ruby in color it's a dry medium-bodied wine, warming with strong spice, a lot of licorice, cedar and ripe black cherry. Moderate tannins on the palate. Overall crisp acidity and smooth on the finish. Retails about $19. We hope you can join our live Twitter chat this Saturday March 5th at 11am EST at #ItalianFWT. Keep the journey through Molise going with my fellow bloggers. Hope to see you next month on April 2nd as we feature Puglia! Ciao ciao for now!